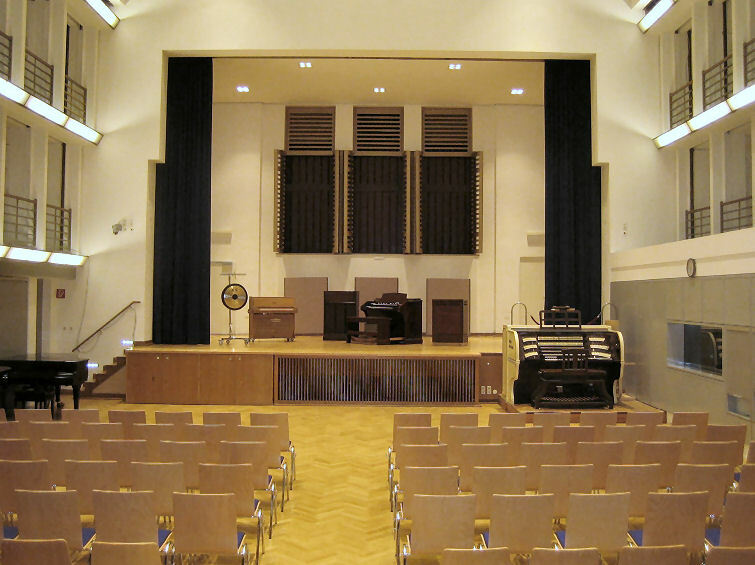 The WELTE broadcasting organ (1930), owned by the Norddeutscher Rundfunk at Hamburg, sits still in its original chambers in the "Grosse Sendesaal" ( auditorium ). She is maintained in her original build, especially in her original intonation, which for best radio sound was adapted to the special challenges of the mikes and the amplitude modulated broadcasting techniques of that time. Two concerts a year are regularly organized by a society, called "Freunde der Welte-Funkorgel Hamburg e. V." ( WELTE-Friends Society). Now, the idea came up to sample this organ, probably within certain limits....and as HW-User for many years I was asked to look for help and advice! Any hint, hepl and and advice would be greatly appreciated. amun wrote: The WELTE broadcasting organ (1930), owned by the Norddeutscher Rundfunk at Hamburg, sits still in its original chambers in the "Grosse Sendesaal" ( auditorium ). 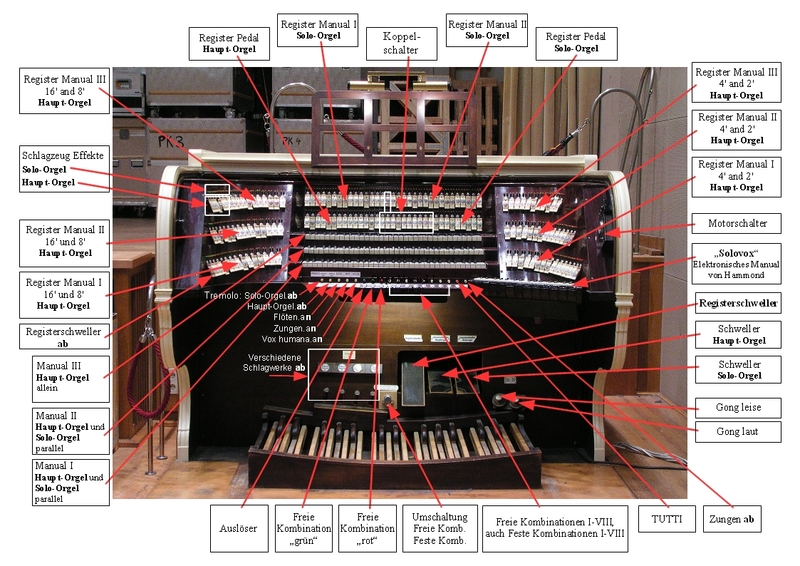 Interesting idea, but the organ has only 2014 pipes in 29 ranks (97 pipes per rank) which are built out to 128 stops. My only remarks would be that it will be difficult to recreate the other stops out of the ranks and probably the acoustics of the concert hall are very dry. The layout of the console is quite complex with many stop-buttons: http://www.rundfunkorgel-hamburg.de/spieltisch-erlaeuterung-deutsch.jpg. Maybe the sampleset should become a limited version ? And what about the conditions / permission to record it ? That's quite some console. Maybe a little over the top button and control wise, yes? Imagine the poor guy that had to write a user manual. Or is there one? Any recordings of this organ? engrssc wrote: Any recordings of this organ? It is obviously heavily multiplexed with a lot of borrowing and transmissions, which was quite common for Welte (and others) to do at the time. Getting a lot of stops out of just a few ranks! In most cases (don't know about this particular organ) this also results in aliquote stops being slightly off, as e.g. a 2 2/3 will not sound at the pure interval, but will be using the tone that is next to what it should be. Just like with the old analogue toasters! Hauptwerk can of course model all of this exactly like the original organ, and if I were doing a set like that I would do just that, make a copy of the real thing with all its drawbacks and limitations. - and also a Demo of the Hammond, which Ed spotted on the stage.